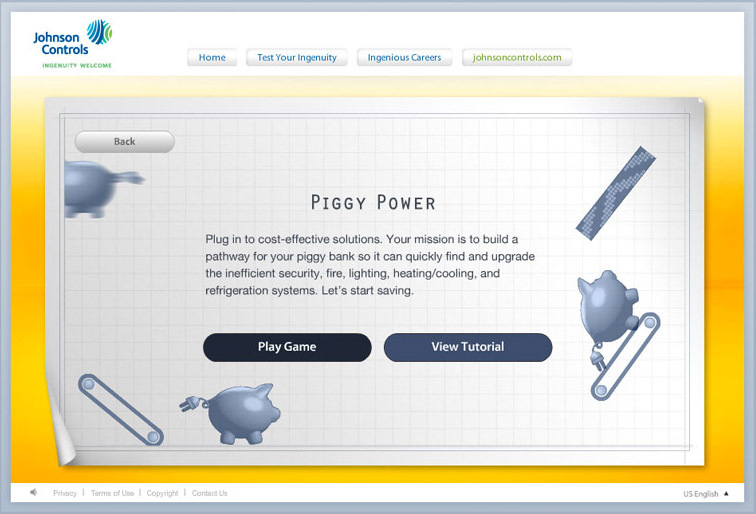 The third and final game in the Johnson Controls series has you tossing a pig around your own fantastic contraption. 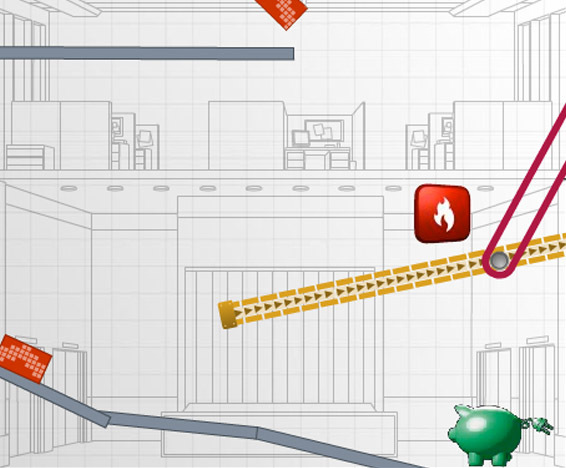 The game asks users to get a pig to the top of a tower by drawing with tools that do a variety of things: platforms, launch pads, cushions, conveyor belts, and trampolines. Box2D is again used for the physics engine, and an another team member provided the graphic design and illustration. Of the three Johnson Control games, this one is by far the most hilarious.